Do you need to prepare for a major English language test like the IELTS or TOEFL? Here’s the information you need, along with links to practice pages and the official sites with registration and test information. The IELTS, TOEFL, and TOEIC are the main international English language tests. English-speaking countries, universities, and employers use them to measure the English skills of applicants who are not native English speakers. All three are accepted in the main English-speaking countries, and all have testing centers in countries around the world. They each test the four language skills (reading, writing, speaking, and listening), but they test them in different ways. Basic information about the 3 major ESL tests is below, but you should check out the links to get more information before making a decision, since each test requires a major commitment of time, effort, and money. The IELTS (International English Language Testing System) is jointly owned and run by four organizations: the British Council, IDP: IELTS Australia and Cambridge English Language Assessment. It is accepted not only by universities and corporations but by the immigration departments of several countries. There are two basic forms of the test. 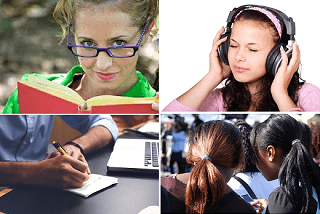 Both use the same Listening and Speaking sections, but they have different versions of the Reading and Writing Tests. The Academic Test, like the TOEFL, is for people who want to study at universities or colleges in English-speaking countries. The General Training Test is for employment, immigration, or high school purposes. One major difference between the IELTS and the TOEFL or TOEIC is that the IELTS speaking test is face to face with an examiner. It may be given on a different day than the other tests. The IELTS site (above) has a lot of practice material to help you prepare. There is more test information in a short summary pdf downloadable from Cambridge, or a detailed study guide to the IELTS provided by Magoosh. (They sent this link to their free ebook specifically to help test takers prepare. It is accepted by over 9,000 universities in well over 100 countries. Its website explains the test and has information about where it is given, how to register, and how to prepare. The website offers a lot of free practice and preparation tips, including several “Inside the TOEFL test” videos on the skills tested-- and for the writing test even 3 videos on the questions you will need to answer. It also provides sample questions and old practice tests. To find them, click "Prepare for the Test" and scroll to near the bottom. The free practice materials are below materials with a price. You can also pay for extra help: online practice tests quite similar to their actual test, a guidebook, a 6-month subscription to an English reading improvement service, or other options. As their reading materials point out, the best way to improve your reading skill in English is to read. Read all kinds of materials in English, and read often. You don’t have to pay for such a service to prepare for the TOEFL. The TOEIC tests workplace English skills: understanding instructions, reading and writing emails, talking on the phone or in a conference, etc. It has separate tests for Listening and Reading, Speaking, and Writing. 1. Decide which English language test is best for you. 2. Register early to get a place at the testing center closest to you. Be sure to take a test several months before you must have the results. You need leave plenty of time for the test agency to send the results of your test to the universities, employers, or other agencies before their deadlines. 3. Make a study schedule and follow it. Use the information and practice tests provided. Pay special attention to any weaknesses the practice tests show you. Find a study partner if possible, both for correction and for motivation. Celebrate your improvement, and keep studying! 4. Practice all your English skills: read a variety of materials, practice conversations, listen to lectures online, take notes, and write about them. See the practice pages below, or, for the most effective practice, take one of the EnglishHints' test prep courses: see Mastering English Test Vocabulary for the free course on 3 Strategies for the TOEFL & IELTS, or inexpensive courses: Academic Vocabulary Lessons in Minutes a Day, Learning Prefixes, Suffixes, and Roots, or Clues to the TOEFL Reading Test. (TED talks make excellent lecture/note-taking practice, and you can read the script later to check your understanding. Many have also been translated into other languages, so you might be able to check in your own language. 5. Before the day of your test, make sure you can find the test location and that you have all the identification and other papers you need for the exam. Take a snack, a sweater or jacket (test rooms may be cold), and anything else you might need. Don’t “cram.” (That means to fill your mind with last minute review.) It’s more important to get a good night’s sleep, and maybe a little exercise or some activity that can help you relax and not stress. 6. On the day of your test, leave plenty of time to get there, find the room, confirm your identity, and get settled. Relax-- you’ve been preparing for this for a long time. 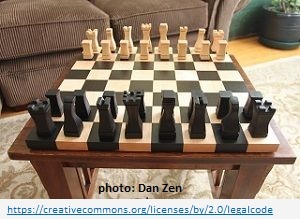 You can find a lot of practice readings and tests and quizzes on this site, as well as games and practice activities to learn academic vocabulary. Clues to the TOEFL Reading Test. and the EnglishHints' sitemap. The English Detective back issues link to some excellent readings and talks on a variety of subjects. They are designed to practice the vocabulary you will need for academic study in an English speaking country. 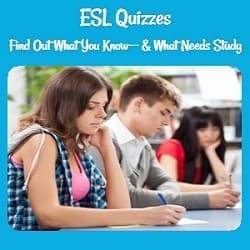 Learn the differences between ESL quizzes and tests and find lots of quizzes to practice for longer tests.